It’s the first big weekend of racing on the East Coast. Kerry went back to St. Anthony’s Triathlon. 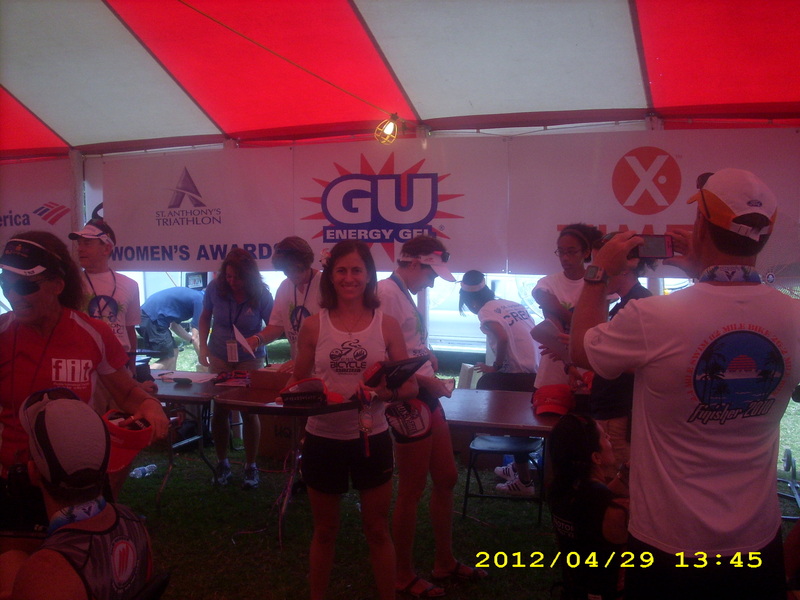 Last year, her first year in the female 30-34 age group she won the age group. This year saw a repeat of that performance but with a faster time. Which is never shabby. 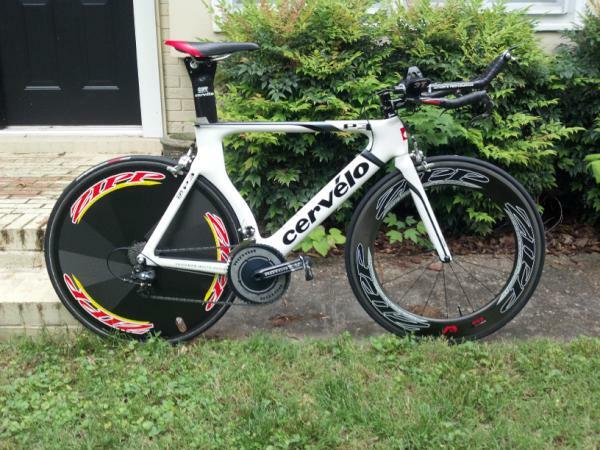 Up the coast in NC, James and his race ready steed showed up at the Huntersville Sprint Triathlon. James posted the 2nd fastest swim, then topped the field with the fastest bike and run time to comfortably break the tape for the WIN! This will earn him some valuable points towards the overall title of the IOS NCTS. Moving west Billy Oliver captured 7th place in his Age group at USAT Duathlon Nationals by posting a faster time then he put up last year on this course. Finally even further west, Dusty grabbed 3rd place by half a wheel in the Chuck Pontius Crit. He took all he has learned over the previous races where he’s tried to break away every which way is possible often to be caught just before the line. Today he raced tactical and grabbed a podium spot. Lots of races and lots of top places. That’s the way we roll at Accelerate 3! You forgot to mention that Billy BEAT YOU!